High-quality tools and software can dramatically improve lives and grow businesses – but it often comes at a cost. Open source projects offer a way around this, promoting an open and collaborative effort where anyone with a useful skill – be that software development, design or project management for example – can contribute to building something that can be used by anyone around the world… for free! Given the collaborative nature of the South West tech and digital community, we thought we’d gather up some of the most exciting and impactful open-source projects built in the region. 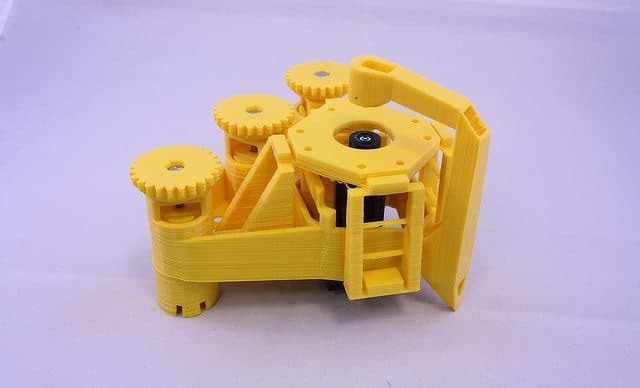 Dr Richard Bowman from the Department of Physics at the University of Bath has designed 3D-printed open-source microscopes in collaboration with the University of Cambridge and Tanzanian company STICLab. 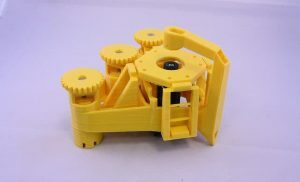 The microscopes use mass-produced lenses, a low-cost Raspberry Pi controller board and a 3D-printed plastic frame costing less than £30 – making them perfect for use in developing countries for disease diagnosis and scientific research. The University of Bath teamed up with CERN – the European Organization for Nuclear Research – to build new open-source algorithms for medical imaging, the TIGRE toolbox. 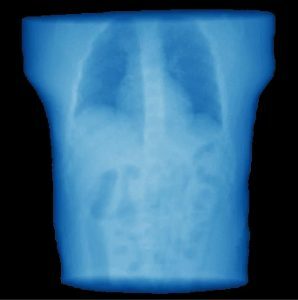 The 3D x-ray image reconstruction toolbox offers a simple and low-cost way for improving medical imaging and cancer diagnosis with dramatically decreased radiation exposure for the patient. The TIGRE project also takes things further, aiming to build a stronger bridge between algorithm researchers and imaging researchers, by encouraging and supporting contributions from both sides. 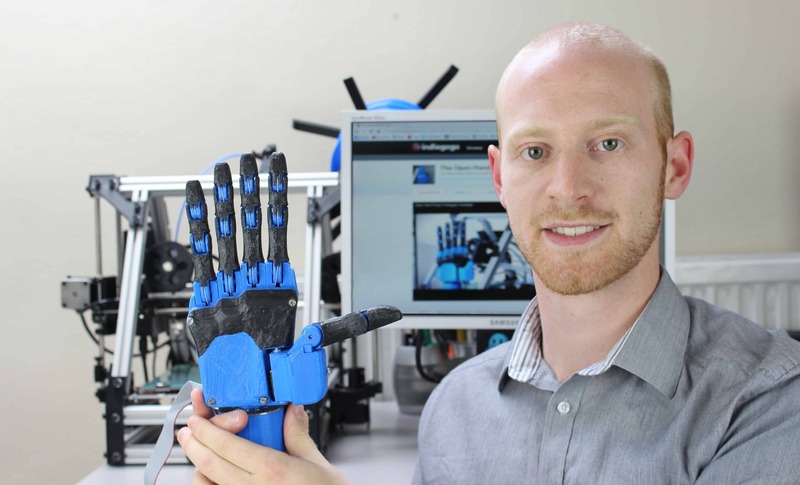 Open Bionics originally began as the ‘Open Hand Project’, founded by Joel Gibbard (pictured right), to provide the blueprint for a fully-customisable 3D printed robotic prosthetic arm bringing the cost of the device from tens of thousands of pounds to as little as £600. 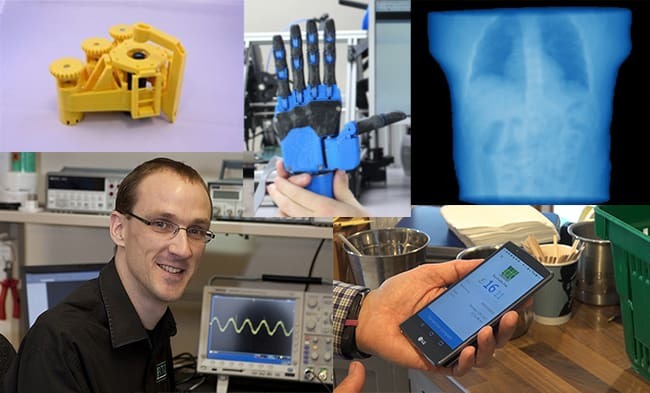 And despite forming into award-winning robotic prosthetics company Open Bionics, their most up-to-date electronics and software is still available for use by hobbyists and amputees on the Open Bionics Github page. FreeRTOS is an open-source market-leading real-time operating system (RTOS) for microcontrollers and small microprocessors. 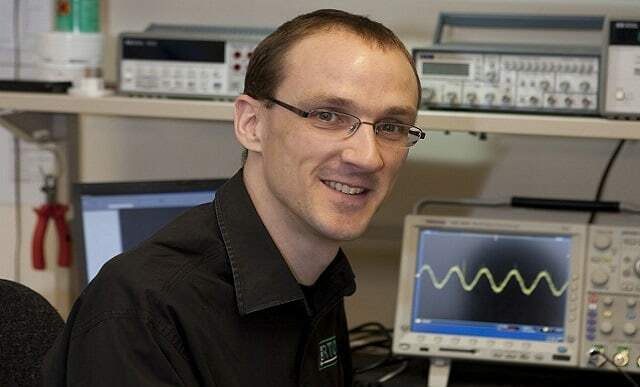 It was developed in 2003 by Richard Barry (pictured left), a Bristol-based engineer, and soon became one of the top RTOS’s used by designers around the world – reaching one download every 260 seconds. Its popularity and use is so high that last year web giant Amazon came on board with the project, whilst still keeping it open-source, to help support the software’s growth and upkeep whilst enabling them to create their own version of the product to support Amazon Web Services and in Internet of Things use cases. In 2012, Bristol became the first city in the UK to develop its own local currency – the Bristol Pound. 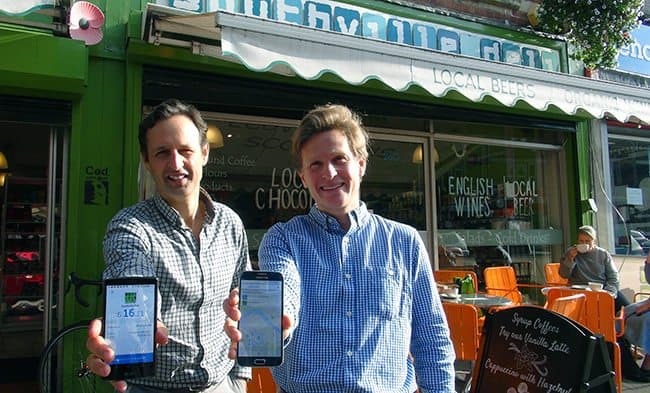 The currency quickly grew in use across the city, but with increasing numbers of the population using contactless payment methods and mobile technologies to pay, this Bristolian bank decided to launch its very own app. 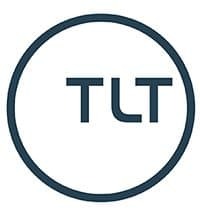 The app was built by a team from Bristol-based software consultancy Scott Logic who donated their time for free to develop the open-source app which allows its users to manage their account and make payments in just a few taps. If you’re interested in the technical ins and outs of the Bristol Pound app, and how they successfully used other open-source technologies to build it – you should check out Scott Logic’s Bristol Pound blog. Although the projects we’ve shared above are all up-to-date, useful and secure, as invaluable as open-source code can be for developers, projects are often left unmaintained and vulnerable to security issues. So it’s only fair to mention the great work of Libraries.io – a Bath-based project aiming to solve this by monitoring over 2.5M open source libraries across 36 different package managers to help developers ensure they are using the latest version of the code. 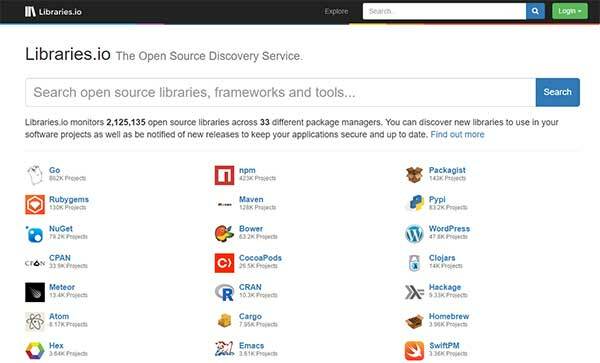 It also acts as a great open-source tool-finding search engine to help people make informed decisions about what software they use in their projects. Stay up-to-date with the latest tech news in Bristol and Bath by signing up to the TechSPARK newsletter or following us on Twitter here: @TechSPARKuk.